To monitor a Twitter, you don’t have to waste your whole time of the day to see what customers are talking about you on Twitter. 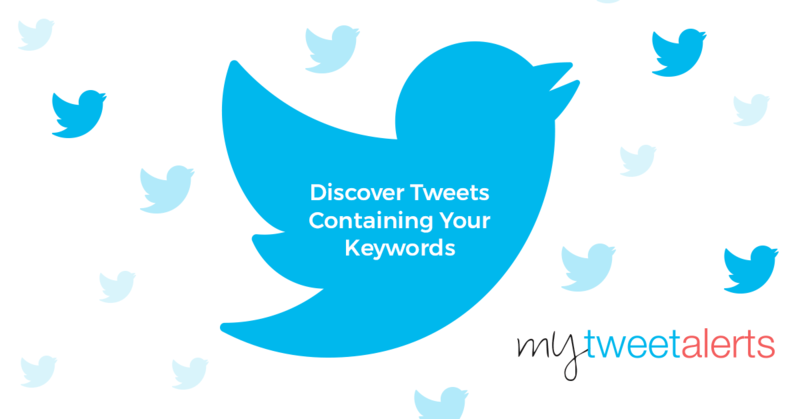 You can make this fast, easy and convenient by making use of MyTweetAlert.com, when you do this you don’t miss out a single thing from your customers on Twitter. 1. Login in with your Twitter account. 2. Create an alert name. 3. Tell MyTweetAlert what to look for on Twitter. 4. Provide an email address for MyTweetAlert to send a notification to. 1. It helps you monitor your brand and keywords. 2. It helps you discover new opportunities. 3. It helps you in managing your online reputation. 4. It helps to improve your Twitter strategy. MyTweetAlert also helps you make use of advanced filtering to narrow your result like the number of followers, languages, location and also specific Twitter users. MyTweetAlert helps you monitor Twitter 24hours a day without missing out what your customers are saying about you on Twitter. Sign up for MyTweetAlert today to get a 30 days’ free trial. Make use of MyTweetAlert and save your time today. MyTweetAlerts.com is your personal Twitter assistant built to find and deliver the tweets most important to you! © 2018 mytweetalerts. All rights reserved.